Open File Explorer from the Task Bar. The Netflix folder is a hidden folder. To display it, go to the View tab and then click on the Option menu button on the right. In Folder Options, select the View tab and scroll to the Files and Folders settings. If it’s not checked, then select the Show Hidden files, folders, and drives setting to enable it. Here [USERNAME] is the Windows folder with your current username. It’s obvious but you can also copy-paste C:\Users\ and then select the folder with your username. Just append the file path after that to get to the folder without drilling down the hierarchy. The Netflix download folder will be empty if you have never downloaded any movies or shows with the Windows 10 Netflix app. But, carry out your first download and you will see a bunch of files here. The largest will belong to the actual media file. Notice that there are no file names which help you identify the movie or show. Rename the largest file and Netflix won’t recognize them. Also, you cannot play them with any media player except the Netflix app. Till Netflix adds a few more file management features, at least the location can help you manage your drive space when it starts to run out. If you haven’t tried Netflix and its offline viewing feature How to Download Movies and TV Shows on Netflix How to Download Movies and TV Shows on Netflix If you want to download movies or shows on Netflix to watch while traveling, commuting, or just when you're out of range of a Wi-Fi signal, here's how to do it. Read More , try it once. 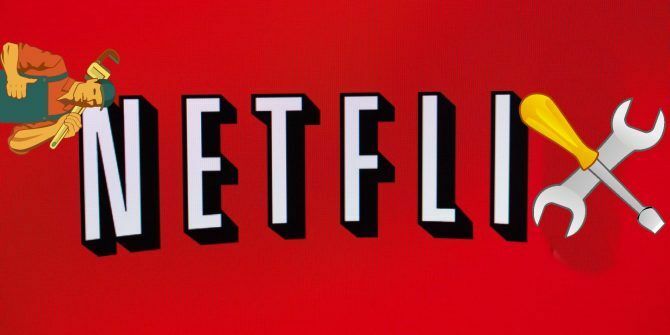 If you’re having more problems with Netflix, be sure to check out how to solve 10 of the most annoying Netflix problems How to Solve 10 of the Most Annoying Netflix Problems How to Solve 10 of the Most Annoying Netflix Problems Netflix isn't perfect. Here are some common problems people have with Netflix and some simple solutions you can try. Read More . Explore more about: Download Management, Netflix. How about for Android? Samsung Galaxy S7 Edge 128GB + 128GB microSD owner here. ;) Thanks. Can you move the folder and then use a mklink /J command to create a junction link to the new location?